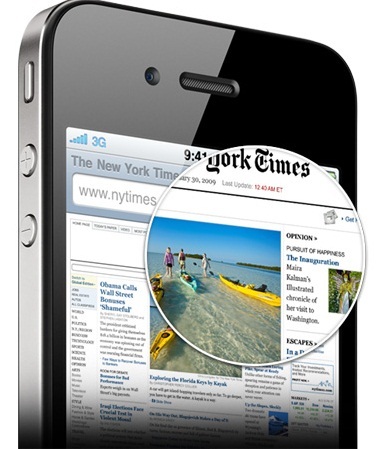 Apple has now confirmed the news about Unlocked iPhone 4 GSM Smartphones selling in United States through Apple Retail Stores. Apple has just updated its online retail store with a new unlocked version of the iPhone 4, now customers and buyers can place the order of iPhone 4 in either black or white at a starting price of $649 for 16GB, with the option to upgrade to 32GB for $100 extra. Currently, Apple is just offering GSM model of the iPhone 4 is available for purchase without a carrier contract, while the the CDMA model is still tied to a Verizon contract. Shipping estimates place the black version as arriving within 1-3 business days, whereas the white version will take slightly longer, at around 3-5 business days. Although the phone comes without a carrier lock, Apple notes that users will need to supply their own activated micro-SIM from their service provider. Micro-SIMs from the iPad 3G will not work. Apple caters to U.S. users who often travel internationally and who don’t want to be locked in an AT&T contract, which means they can swap SIM cards and save money on roaming fees. Furthermore, international buyers will definitely want to get the contract-free version, whose price can be significantly higher in other countries (for example, an unlocked 16 GB iPhone 4 costs €629 ($909) in Germany, much pricier than the unlocked version in the U.S.). With the unlocked iPhone, the US has now joined the numerous other countries able to officially purchase an iPhone with no strings attached.